Tim DeChristopher has been sentenced to 24 months in prison, with a 10,000 dollar fine. Time to re-read Thoreau. 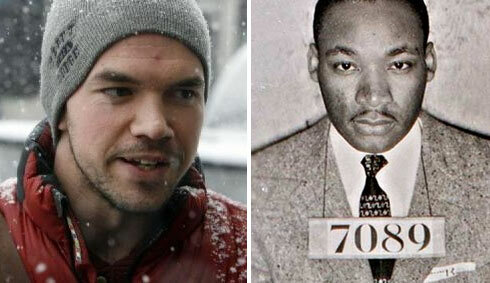 The idea of civil disobedience is not that one magically escapes punishment, due to ‘good intentions”. Thoreau went to prison, and famously asked Emerson why he, too, was not there. SALT LAKE CITY (AP) — A sentencing hearing turned into a rally supporting an environmental activist who has become an antihero after disrupting a government auction of oil and gas leases near two national parks in Utah. But U.S. District Judge Dee Benson said there was no excuse for the 29-year-old former wilderness guide’s blatant disrespect for the rule of law. John Abraham: Open Discussion Yes. Flat Earth, No. Out in the Open: Koch Brothers Make it Official. We Hate Wind. A conservative group that spearheaded efforts to lobby the Christie administration to pull out of a regional initiative to curb greenhouse gas emissions is now trying to undercut New Jersey’s efforts to develop offshore wind farms. 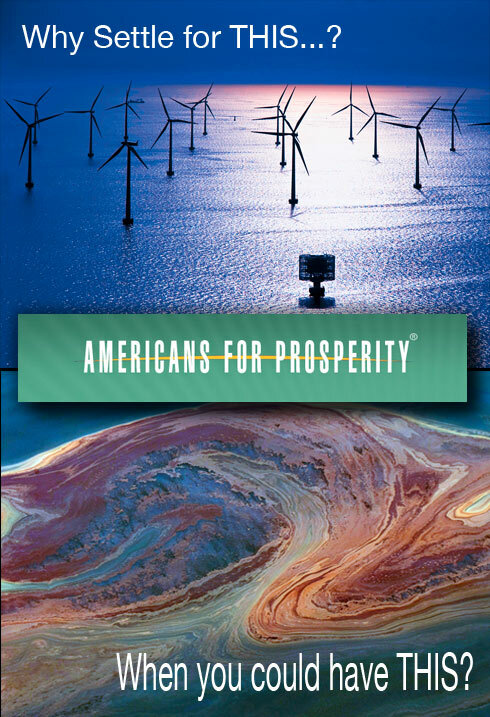 Americans for Prosperity (AFP) is a group fronting special interests started by oil billionaire David Kochand Richard Fink (a member of the board of directors of Koch Industries). After spending most of the last year playing whack a mole with denier nonsense and “ClimateGate” canards, and after a whole lot of people asked me to, I switched gears from describing the problem to mapping out the solutions to climate change. If you haven’t seen the first 3 Renewable Energy Solution of the Month videos, check them out here. Some of you may have seen ClimateCrocks previous report on this idea. You can view that video below. Above, Scott Brusaw presents his idea at a TED conference. SAGLE, Idaho — A northern Idaho company that aims to transform U.S. highways into a vast, energy-producing network is getting $750,000 from the federal government for the next phase of its project: a solar parking lot. Solar Roadways of Sagle announced Wednesday it won a Small Business Innovation Research grant for the project from the Federal Highway Administration. With the money, company founders Scott and Julie Brusaw aim to create a prototype parking lot for testing, but their real dream is for a road system built of 12-foot-by-12-foot solar panels rather than traditional asphalt. Feeding people. Nourishing Neighborhoods. Creating Community. Revitalizing inner cities. Mitigating “food deserts”. Making our connection to the planet conscious.